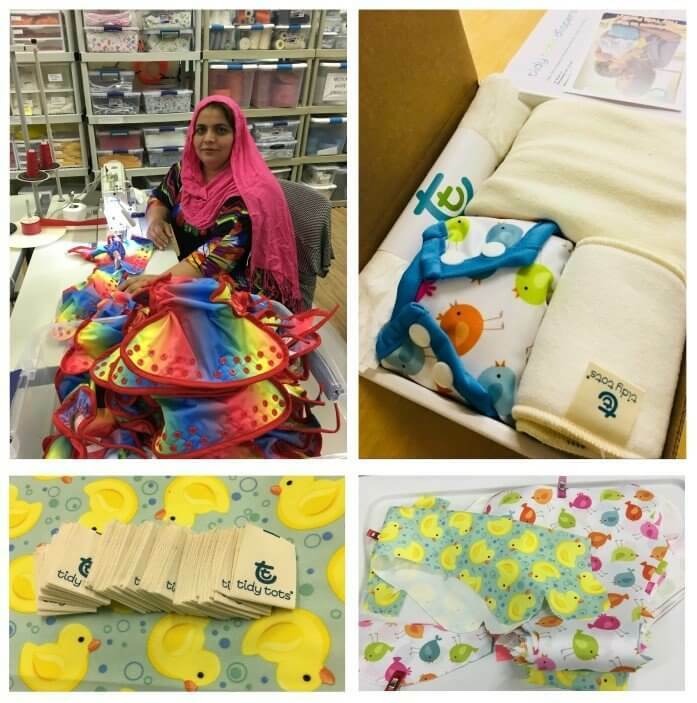 Ready to take a walk behind the scenes at US based cloth diaper manufacturer Tidy Tots Diapers? Not only are they working hard to make cloth diapers mainstream by taking the mystery and fear out of cloth diapering, they are also working to get into more brick and mortar stores. As a beautifully added bonus, Tidy Tots also works passionately giving back to their community. All of Tidy Tots diapers are manufactured in upstate New York in a facility that hires, trains and supports individuals with disabilities. Another reason you can feel good about purchasing Tidy Tots diapers. Sandra Beck is the creator and founder of Tidy Tots Diapers. Sandy had decided to turn the page on a successful exit from owning and operating a tech company. She had a dream to make the future a better and safer place. A better cloth diapering option became her focus after she began hearing common frustrations that kept people from using cloth diapers. Her dream and boundless passion has pushed her to create a revolutionary cloth diaper that has no rise adjustments and the ability to get a perfect fit every single time. And the poo? Tidy Tots features the only completely secured, flushable, and biodegradable liner. No spraying, no scraping, no ick. This is really something different and I’m excited to share Tidy Tots Diapers with you! Jenn: Where were the first Tidy Tots Diapers made? How did you end up at the Schenectady ARC facility? Tidy Tots: The first prototype was developed in Sandy’s home. Here’s a throwback to one of the original versions of Tidy Tots! Let’s back up though. Her original mission was to promote green products, and being that disposable diapers are one of, if not the top offender for the environment, she started a focus group to test cloth diapers already on the market. She was surprised to learn that cloth diapers had issues that frustrated families to the point of returning to disposable diapers, which clearly impacted Sandy. 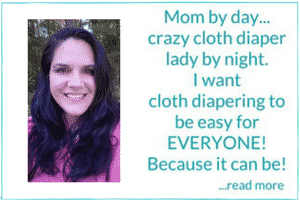 She set out to invent her own diaper to make it easier on families wanting to use cloth. While there have been and continue to be refinements to the design, her main focus was to address the issues identified by her focus groups. Namely, leaks, rash, and having to deal with the poop – the ICK! Sandy has always held true to her commitment to give back to the community. So partnering with ARC fulfilled that mission. 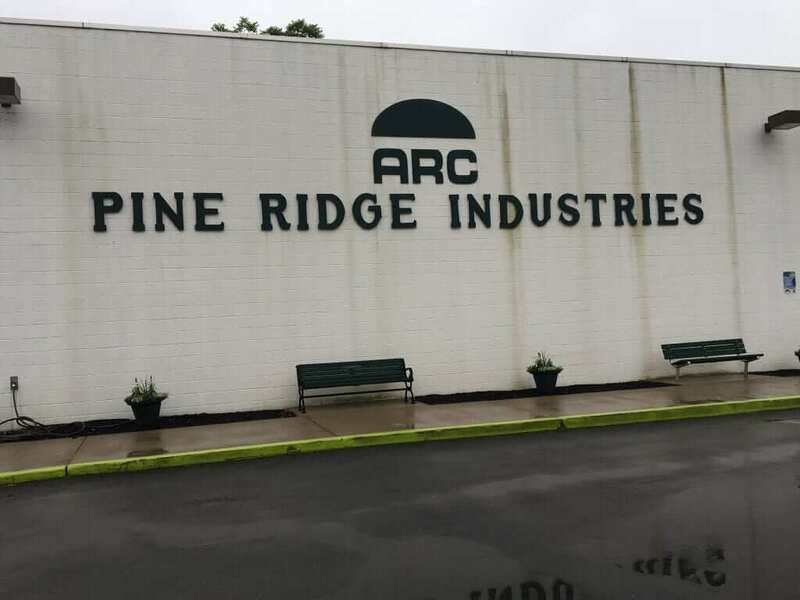 She left another ARC facility in 2017 for Pine Ridge Industries, a closer facility to bring manufacturing in house. She thoroughly enjoys being with and supporting the team who every day live out her dream. The team now all works collectively out of this facility. Jenn: What is a day like at the facility? 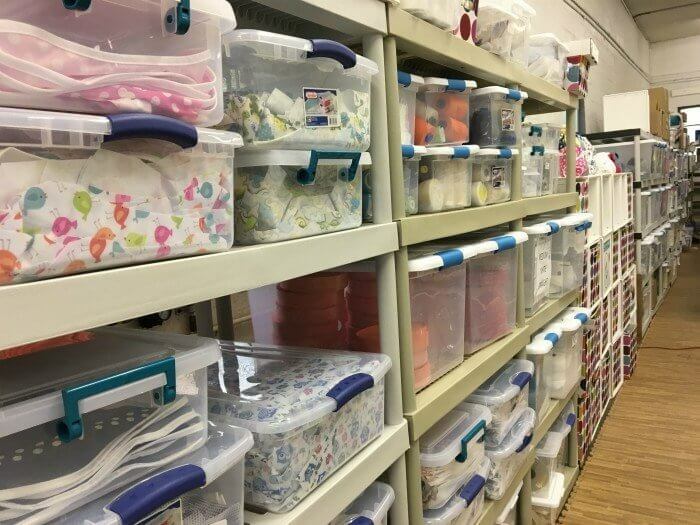 Tidy Tots: Pine Ridge Industries, ARC provides a wonderful positive atmosphere for her team, a mix of individuals who work varying schedules based on their capabilities. It is truly inspiring to witness the happiness and joy it brings to both Sandy and each of the workers. Jenn: How many people work in the assembly process? Does Sandy’s family work with Tidy Tots as well? Sandy: The Tidy Tots team fluctuates based on demand. We have cross training at the facility and our mission is to assist in imparting good work skills and appropriate behavior to the individuals we support. Some will stay with us and some employees will gain the skills necessary to work out in the community. We pride ourselves on being a happy, safe place to work. My best day is when a shy, reserved person finally feels confident enough to voice their opinion. We have been known to sing along with the radio. Products are produced in batches which are broken into process steps suitable for a worker’s capability. The No Fold diaper has 8 process steps to complete. We currently have 13 employees, 8 work full time and 5 part-time. My daughter Sara has worked along side of me for all these years. She has support me 100% in making my dream come true to help babies and people one at a time. Jenn: How much time does it take to produce one complete diaper? Tidy Tots: Tidy Tots has a different outlook on production times. Since the manufacturing process is broken into various steps or batches, employees may focus on a handful of steps in any given day – completing hundreds of product for that step. Unlike a car plant, our manufacturing facility is not an assembly line. Jenn: How did the no rise adjustment design come about? Was it a long process or a sort of lighting strike idea? Tidy Tots: Sandy is an avid and very experienced sewer herself. SmartRise, through her gusset design, was something she knew could solve leak issues and eliminate the need for rise snaps. Perfecting the customized elastics using the PUL, her cover material of choice, took some time and creativity and 7 months to complete. Her persistence and attention to every detail resulted in those MAGICAL gussets ! It should also be noted that these patented gussets also offer a wall of protection – standing 1 1/2 inches which prevents the cover from leaking. Ingenuity all- around. Jenn: How do you find your testers? The people who get to try out all the fun stuff first. 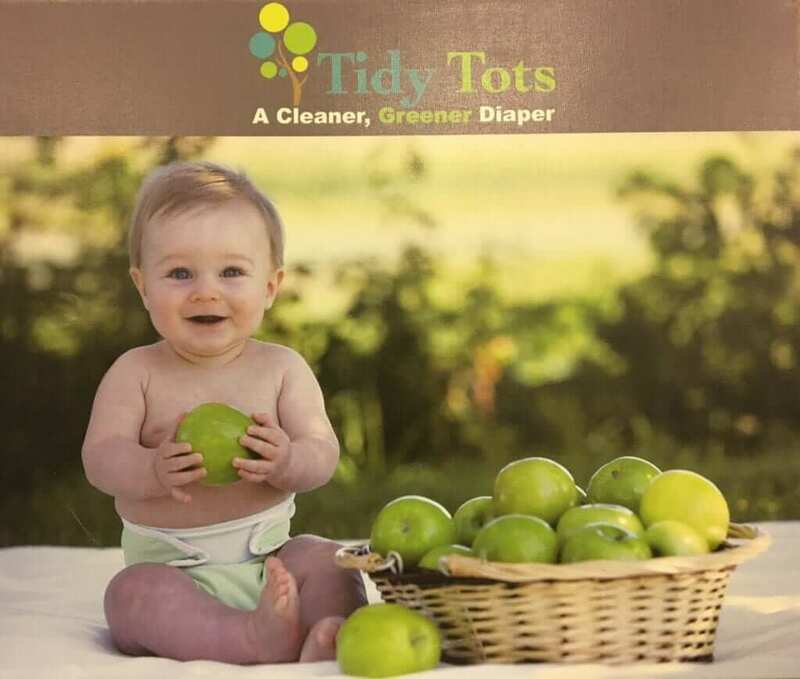 Tidy Tots: Sandy found volunteers from her early testing days, she now refers to as family, through a local baby play center and mommy groups willing to join her on this journey to design the best cloth diaper. 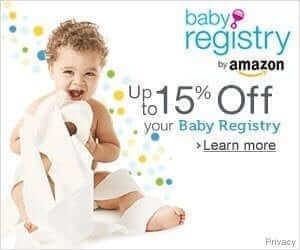 Her recent awards of Best Eco-friendly product of 2018 and Voted Best Diaper 4 years in a row (2015-2018) by Baby Maternity Magazine are a testament to her determination and drive to revolutionize the cloth diaper industry. Jenn: Tidy Tots recently switched to different liners. How do you think the new ones improved on the previous cornstarch version? Sandy: Tidy Tots sought a more natural, more sustainable Flushie liner made from bamboo-hemp. Bamboo is incredibly soft, and initial tests indicate they actually biodegrade faster than our cornstarch liner. Without giving away all your secrets, do you think you can share a little about your prepping process? That is a video of Sandy checking out a new piece of equipment! Jenn: It never hurts to ask right LOL . Any exciting stuff in the works? I personally can’t wait to see more prints! Tidy Tots: Most importantly, Tidy Tots is growing and growing fast. We have more than doubled our space at Pine Ridge Industries, making significant capital investments in equipment and hiring more employees. So we are busy! We thank all of our customers, followers, brand ambassadors, employees, and you Jenn, for making this possible. And this is just the beginning of good things to come. Tidy Tots listens to our customers and we are indeed working on new prints. Exciting! In fact, we have a very talented artist who works here at the Schenectady ARC, working on a couple of patterns in her leisure time. She is one of the wonderful individuals we employ and rocks her socks at the facility – literally. A colorful unmatched sock collection and a creative mind. We are working to launch two new product lines, including a new swim diaper package with its own wetbag as well as coordinated changing pads in the coming weeks. Our swim diaper campaign is ramping up, what? !, a diaper cover that can also be used as a swim diaper, how’s that for convenience? You’ll be happy to know that we have put that diaper cover to the test with extended soaking in a highly chlorinated pool and hot tub and our testers have found no degradation in function. 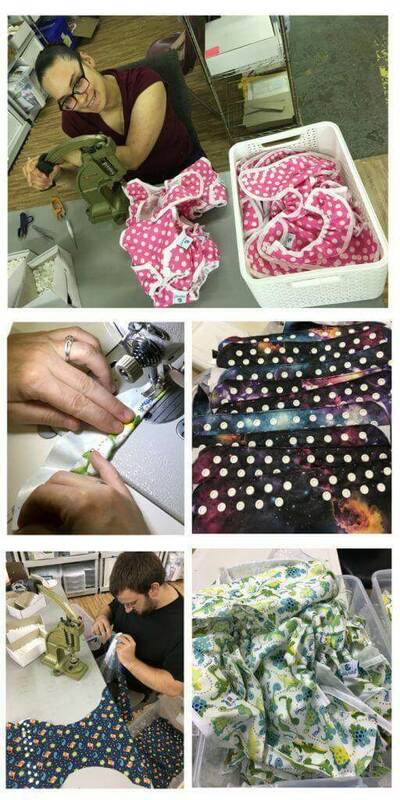 Did you love hearing about how cloth diapers are made? Did you find out anything about Tidy Tots that may push you to grab some of your own? Thank you so much to Tidy Tots for allowing us a peek inside their facility. And thank you to them for all of the photos and videos used in this interview. Neat to see a peek behind the magical curtain. 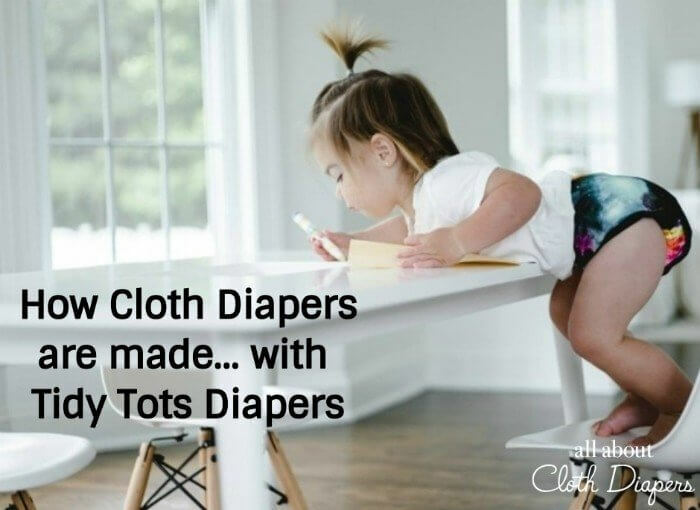 I love Tidy Tots diapers! It’s so cool to see how they are made. Love that it’s a company with ethics AND quality products! Absolutely love the way the company is handled, and the flushie liners sound amazing! So excited to try the SmartRide gusseted sides! Leaks are something we battle with at night and this would be a great way to prevent them! I love that you can adjust without the rise! Sometimes when they’re small I feel it adds so much bulk!